On June 13, 2017, Microsoft should present its next generation console, now known as Project Scorpio. Also, we remind you that E3 2017 will also be held in June so you should expect Microsoft’s Project Scorpio announcement at E3 2017 which is the most important event in the world related to video games. Microsoft so far has said that it will use a revolutionary hardware, although this can translate into the use of an AMD Ryzen processor equipped with 8 -Zen cores with 16 threads and, of course, high – performance AMD VEGA graphics. 159 days until E3 2017 ? All this could come in the form of a customized APU to give a yield of 6 TFLOPs performance with a bandwidth of 320 GB / s, so you can expect the absence of HBM2 memory, although it is still too early to talk about it, but Microsoft should have to fulfill the promise because according them it would run games at a native 4k resolution, and HBM2 memory could help Microsoft to reach that goal, but after seeing what has happened to the PlayStation 4, this is hard to believe at the moment. 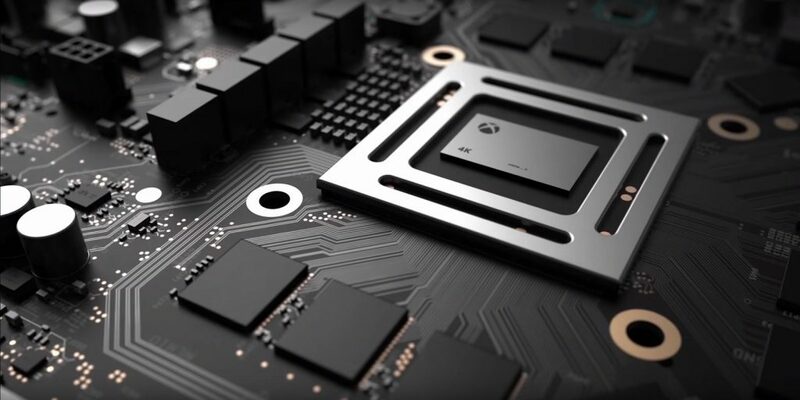 This date has not been brought to light by magic, the countdown has been published by Larry Hryb, Director of Programming for the Microsoft gaming network Xbox Live, on its official Twitter account quoting us at E3 2017, so you know, it is expected that from the coming months you will see interesting leaks of the Project Scorpio, because the console would be released in this Christmas.